The trainings and mentoring offered by Yoga for Arthritis count toward the International Association of Yoga Therapists (IAYT) required hours. Additionally, our programs will help you to specialize in working with this population, so that you will be more marketable in clinical settings and for programs that seek this type of expertise. Becoming a Certified Yoga For Arthritis Teacher has 3 steps, and each step is intentionally aligned with the IAYT standards. The International Association of Yoga Therapists (IAYT) is an organization that aims to establish yoga as a recognized and respected therapy. There is an important distinction to be made between yoga therapists and yoga teachers. Yoga therapists are trained to work with specific conditions and unique populations, including people with arthritis. If you are teaching yoga classes specifically designed and adapted for people with arthritis, or working with private clients who have arthritis-related conditions, you are probably applying therapeutic yoga. The IAYT credentials raise the professionalism of yoga therapy, and open the door to greater collaboration with the medical community. 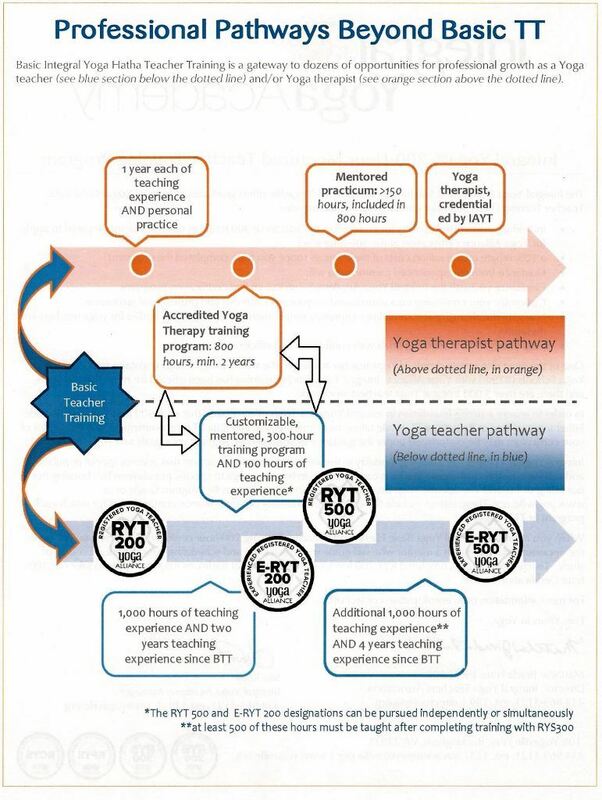 If you started yoga therapy training before Jan 1st, 2014, you can use YFA training as part of your CEU's as long as the application is in before the IAYT deadline of 6/30/17. Please see the IAYT grandparenting section for the full set of requirements HERE. AFTER you complete the process to become a credentialed yoga therapist, there will be additional requirements for continuing education. Any Certified YFA teacher in good standing can access our Members Only content through membership, which will help you to develop your practice, establish clinical relationships, and better meet the needs of your students/clients. *If you are looking to complete the 150 additional hours for IAYT, our two trainings plus additional mentoring can meet that requirement. If you want to specialize in arthritis during your 800-hour training, our mentors are available to assist you with that also. Hours may also contribute to training as a yoga therapist in the Integral and Phoenix Rising programs. Please inquire at info@arthritis.yoga if this applies to you.